When was the last time you checked your copy’s grade level reading scores? The reading level of Americans is declining. And you could be writing over your prospective customer’s ability to understand your message. This topic is this week’s column at Target Marketing Magazine. In the U.S., average reading levels are at about the 8th grade level. But 1-in-5 U.S. adults read below a 5th grade level. And surprisingly, 14% of U.S. adults can’t read according to the U.S. Department of Education, National Institute of Literacy. The grade levels at which high school students are reading as dropped. It’s now at 5th grade levels, and is an ominous sign for the future. Even the writing and delivery of Presidential State of the Union addresses are at lower grade levels in the most recent generation than in generations past. President George H.W. Bush averaged 8.6. Barack Obama averages a reading level of 9.4. Bill Clinton, 9.8. George W. Bush, 10.0. Compare these scores to over fifty years ago with Dwight Eisenhower at 12.6 and John F. Kennedy at 12.3. Given these declining readability statistics, chances are more likely than not your copy is written above the reading ability and comprehension of your prospects and customers. 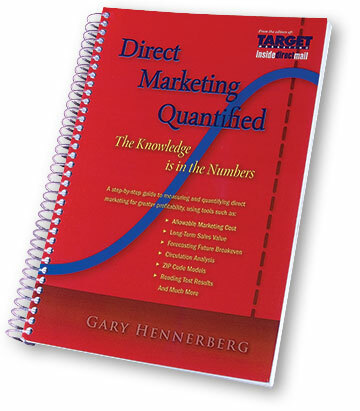 First: research and test your copy to identify the reading level of your market. For reference, TV Guide and Reader’s Digest write at the 9th grade, and USA Today at a 10th grade level. Second: use the Flesch–Kincaid Reading Ease and Grade Level test. It’s in Microsoft Word. Go to “Review,” “Spelling & Grammar,” and after you spell check your document, you’ll see readability statistics. You’ll see the number of sentences per paragraph, words per sentence, characters per word, percent passive sentences, Flesch Reading Ease (the higher the better) and ultimately, your Flesch-Kincaid Grade Level score (lower is usually better, depending on your audience). For passive sentences, a lower ranking is better than higher. Target 10% or less. The passive voice is not as interesting and exciting as the active voice. A review of your copy’s Reading Ease and Grade Level is an essential step that should be automatic every time you write and evaluate copy.